Das MDE Gerät verfügt über ein äußerst robustes Gehäuse und ist bestens geeignet für die Herausforderungen von Lagerumgebungen. 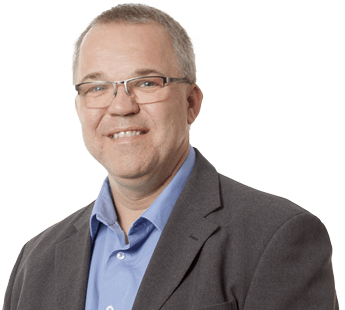 Der TC8000 ist extrem stoßfest und arbeitet selbst nach 2.000 aufeinanderfolgenden Stößen und mehreren Stürzen aus 2,4 m Höhe auf Beton noch zuverlässig. Mit den stärksten Akkus seiner Klasse hält der TC8000 bequem drei Schichten durch. Außerdem kann der Akku innerhalb von Sekunden und ohne das Gerät auszuschalten ausgetauscht werden. Dank branchenführender Touchscreen-Technologie können Apps mit Fingern, Stylus und selbst Handschuhen per Multi-Touch bedient werden. 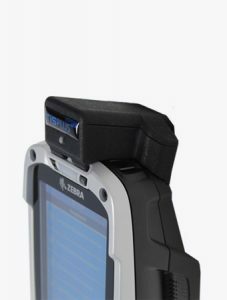 TIS Snap-on Adapter für Zebra TC8000 erlauben die Integration verschiedener Transponder, die zur Lokalisierung des Gerätes innerhalb von Gebäuden in Verbindung mit Videoüberwachungs-systemen genutzt werden. 23844-00-00R | US AC line cord, 7.5 feet long, grounded, three wire for power supplies. Associated Countries: United States. 50-16002-029R | DC cable for power supply PWRS-14000-241R. PWRS-14000-249R AND COUNTRY SPECIFIC UN-GROUNDED AC LINE CORD. 25-85993-01R | 2-WAY DC CABLE. ALLOWS TO CONNECT TWO TC8000 4SLOT SPARE BATTERY CHARGERS (SAC-TC8X-4SCHG-01) OFF A SINGLE PWRS-14000-241R POWER SUPPLY. REQUIRES A COUNTRY SPECIFIC AC GROUNDED LINE CORD. CBL-TC8X-AUDBJ-01 | TC8000 HEADSET ADAPTER CABLE. 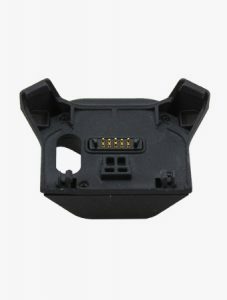 SUPPORTS HEADSETS WITH 3.5MM CONNECTOR. RECOMMENDED FOR PUSH-TO-TALK (PTT) APPLICATIONS ONLY. CBL-TC8X-AUDQD-01 | TC8000 HEADSET ADAPTER CABLE. SUPPORTS HEADSETS WITH QUICK-DISCONNECT CONNECTOR AND INCLUDES A PUSH-TO-TALK BUTTON, COMPATIBLE WITH RCH51 HEADSET. 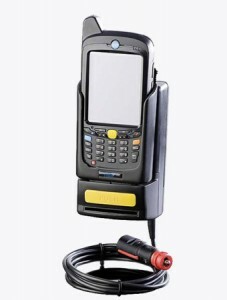 RECOMMENDED FOR VOICE DIRECTED PICKING (VDP) AND PUSH-TO-TALK (PTT) APPLICATIONS. BTRY-TC8X-67MA1-01 | TC8000 POWERPRECISION+ SPARE LITHIUM ION BATTERY, 6700 MAH. ADVANCED NEW BATTERY TECHNOLOGY, PROVIDES A HIGHER LEVEL OF INTELLIGENCE (STATE OF CHARGE AND STATE OF HEALTH) TO DELIVER MAXIMUM PERFORMANCE. PWRS-14000-148R | Power Supply:100-240 VAC,12VDC,4.16A. Order country specific three wire grounded AC Line Cord separately. PWRS-14000-241R | Power Supply 100-240VAC, 12VDC, 9A, provides power to any Multi-Slot Charge Only and Ethernet Cradles. Must order country specific 3 wire grounded AC line cord separately. PWRS-14000-249R | Power supply 100-240VAC, 5.4 VDC, 3A Order country specific two wire ungrounded AC Line Cord separately. SAC-TC8X-4SCHG-01 | TC8000 4Slot Spare Battery Charger, allows to charge 4 spare batteries. Requires PWRS-14000-148R and grounded country specific AC line cord, sold separately. CRD-TC8X-2SUCHG-01 | TC8000 2Slot Charge/USB ShareCradle, allows to charge 1 device and 1 spare battery. Requires PWRS-14000-148R and grounded country specific AC line cord, sold separately. CRD-TC8X-5SC4BC-01 | TC8000 5Slot Charge Only ShareCradle w/4Slot Battery Charger, allows to charge 4 devices and 4 spare batteries. Requires PWRS-14000-241R, DC line cord 50-16002-029R and grounded country specific AC line cord, sold separately. CRD-TC8X-5SCHG-01 | TC8000 5Slot Charge Only ShareCradle, allows to charge 5 devices. Requires PWRS-14000-241R, DC line cord 50-16002-029R and grounded country specific AC line cord, sold separately. CRD-TC8X-5SE4BC-01 | TC8000 5Slot Ethernet ShareCradle, allows to charge 4 devices, 4 spare batteries and provides Ethernet communication. Requires PWRS-14000-241R, DC line cord 50-16002-029R and grounded country specific AC line cord, sold separately. PWRS-14000-241R, DC line cord 50-16002-029R and grounded country specific AC line cord, sold separately. SG-TC7X-STYLUS-03 | Stylus for Capacitive Touch Panel with Coiled tether 3-Pk. Made of Conductive Carbon-filled plastic material, this Rigid plastic stylus is optimized for enterprise durability. BRKT-SCRD-SMRK-01 | Rack/Wall bracket, allows to install any Multi-Slot sharecradle on a wall or a 19” IT rack and provides a holder for pwrs and cords. It also allows to install up to four TC8000 battery chargers. Includes screws required for installation. MNT-TC8X-CMKT-01 | Un-powered cart mount. 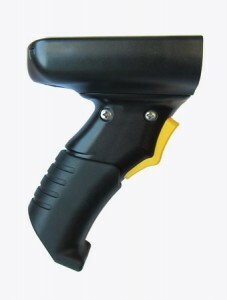 Allows installing the TC8000 on carts with up to 2” diameter rail/bar and using the device on hands-free scanning mode. Includes: MNT-RAM-B400U Tough-Claw, MNT-RAM-B201U Double Socket Arm and MNT-RAM-B202U Round Base. MNT-TC8X-DKPH-01 | TC8000 Un-powered desktop presentation stand. Allows to use the device on a flat surface (i.e. 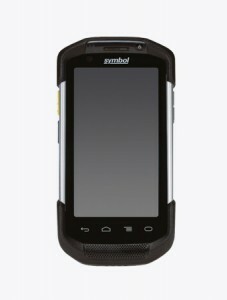 desktop) and allows to use the device on hands-free scanning mode. SCE-TC80XX-10 | 1 YEAR ZEBRA ONECARE SERVICE CENTER ESSENTIAL. DOES NOT INCLUDE COMPREHENSIVE COVERAGE. DOES NOT INCLUDE COVERAGE FOR CRADLES. 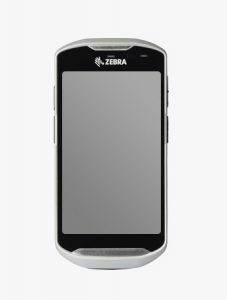 SSE-TC80XX-10-R | 1 YEAR ZEBRA ONECARE ESSENTIAL RENEWAL. INCLUDES COMPREHENSIVE COVERAGE. DOES NOT INCLUDE COVERAGE FOR CRADLES. SSE-TC80XX-30 | 3 YEAR ZEBRA ONECARE ESSENTIAL. INCLUDES COMPREHENSIVE COVERAGE. DOES NOT INCLUDE COVERAGE FOR CRADLES. SSE-TC80XX-50 | 5 YEAR ZEBRA ONECARE ESSENTIAL. INCLUDES COMPREHENSIVE COVERAGE. DOES NOT INCLUDE COVERAGE FOR CRADLES. OPT-COMM-10 | 1 Year Commissioning Option. Cannot be ordered alone. OPT-COMM-20 | 2 Year Commissioning Option. Cannot be ordered alone. OPT-COMM-30 | 3 Year Commissioning Option. Cannot be ordered alone. OPT-COMM-50 | 5 Year Commissioning Option. Cannot be ordered alone. OPT-DASHBOARD-10 | 1 Year Repair & Support Service Dashboard Access. Cannot be ordered alone. Must be purchased together with a Zebra OneCare Essential agreement. OPT-DASHBOARD-20 | 2 Year Repair & Support Service Dashboard Access. Cannot be ordered alone. Must be purchased together with a Zebra OneCare Essential agreement. OPT-DASHBOARD-30 | 3 Year Repair & Support Service Dashboard Access. Cannot be ordered alone. Must be purchased together with a Zebra OneCare Essential agreement. OPT-DASHBOARD-50 | 5 Year Repair & Support Dashboard Access. Cannot be ordered alone. Must be purchased together with a Zebra OneCare Essential agreement. OPT-EXPSHIP-10 | 1 Year Express Shipping Option. Cannot be ordered alone. Available in NALA only. OPT-TC80-BTMT1X-30 | 3 YEAR TC80 PREMIUM BATTERY MAINTENANCE OPTION FOR STANDARD LIFE BATTERY. CANNOT BE ORDERED ALONE. OPT-TC80-STBT-3 | 3 YEAR TC80 STANDARD BATTERY MAINTENANCE OPTION FOR STANDARD LIFE BATTERY. CANNOT BE ORDERED ALONE. 11-08062-02R | Universal rugged belt for hip holster. SG-TC8X-HDSTP-01 | TC8000 Replacment Handstrap with stylus loop. SG-TC8X-PMHLST-01 | TC8000 Presentation Holster, allows to use the device on a free-hand scanning mode, also compatible while using any headset adapter cable. Requires belt for holsyer 11-08062-02R or shoulder strap 58-40000-007R. SG-TC8X-QDHLST-01 | TC8000 Quick-draw Holster, requires belt for holster 11-08062-02R or shoulder strap 58-40000-007R. SWS-AIRWTCHDIST-10 | “DISTRIBUTOR / CHANNEL ONLY. 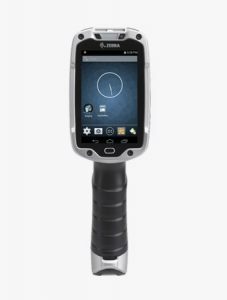 1 YR Software Support for Airwatch Rugged Perpetual license. Includes Technical support and sofware updates for in premise deploymnets. Prices per support license. Minimum order qty of 25 support licenses." SWS-AWTCHDIRECT-10 | “DIRECT SALES ONLY 1 Yr Software Support for Airwatch Rugged Perpetual License. Includes tech support and SW updates for ON PREMISE Deployments. Priced per License supported.Minimum order quantity for support is 25 Licenses. Custom Quoted "
SWS-SOTIMC-1M | Adds 1 Month of Software Support for SOTI to existing contracts . Includes technical support and software updates. Priced per license. Must be ordered with a Soti license. Minimum order quantity IS 10 licenses. SWS-SOTIMC-20 | 2 Year Software Support for SOTI. Includes technical support and software updates. Priced per license. Minimum order quantity is 10 licenses. 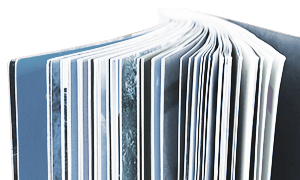 SWS-SOTIMC-30 | 3 Year Software Support for SOTI. Includes technical support and software updates. Priced per license. Minimum order quantity is 10 licenses. ZSOTI-TRN-BOT-ATT | SOTI MOBICONTROL ADDITIONAL ATTENDEE FOR BOOTCAMP 3-DAY TRAINING (TRAVEL & EXPENSES ADDITIONAL). PRICE PER PERSON. ZSOTI-TRN-BOT-ONS | SOTI MOBICONTROL BOOTCAMP ONSITE 3-DAY TRAINING (TRAVEL & EXPENSES ADDITIONAL). PRICE PER SESSION, MAX ATTENDEES PER SESSION IS 5. SIMULSCAN_PREM | SIMULSCAN PER DEVICE LICENSE FOR PREMIUM FEATURES INCLUDING STRUCTURED TEMPLATES CONSISTING OF OPTICAL CHARACTER RECOGNITION (OCR) AND OPTICAL MARK RECOGNITION (OMR). SWS-ALLTOUCH-TE-10 | 1 YEAR SOFTWARE SUPPORT FOR AL TOUCH TERMINAL EMULATION (TE) FOR ANDROID. INCLUDES TECHNICAL SUPPORT AND SOFTWARE UPDATES. PRICED PER PERPETUAL LICENSE. SWS-ALLTOUCH-TE-30 | 3 YEAR SOFTWARE SUPPORT FOR AL TOUCH TERMINAL EMULATION (TE) FOR ANDROID. INCLUDES TECHNICAL SUPPORT AND SOFTWARE UPDATES. PRICED PER PERPETUAL LICENSE.